StuffIt is a multi-functional, multi-featured file compression app that sells itself short by being overly complex and quite ugly. 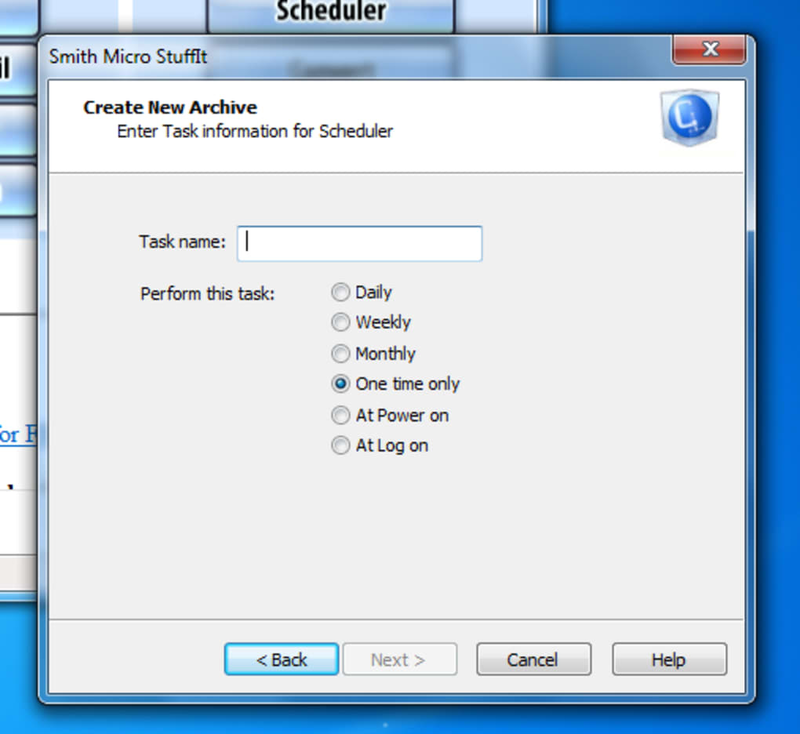 StuffIt is the basic version of Smith Micro's flagship file compression software. It claims to offer exactly what standard users need, but infuriatingly, doesn't offer a specific trial version, which means that when you're trying it out, it's difficult to tell what features are actually present and which belong to the deluxe version. According to the developer's description, StuffIt standard offers the ability to create 25 file formats. On first glance, StuffIt doesn't seem to promise much. It's an old-fashioned looking program, with a mess of buttons and options that makes it hard to know where to start. The interface is divided into three parts, starting with the standard File, Edit, View options. Under them, there are some quick buttons, and beneath that, tabs giving you quick access to the rest of the program. The best place to start when using Stuffit is the Wizards. These let you easily create basic compressed files in a number of steps. They don't introduce unnecessary complications, and within a few minutes you should have some nicely compressed files, ready for storage or further actions. We have to admit that the actual StuffIt creation process is quick and painless, and that the initial time estimation drops quickly as the process progresses. As well as creating compressed files, StuffIt lets you open and extract previously-created files, convert from a specific variety of formats and make self-extracting files. You can also schedule operations and use the app as a file explorer. StuffIt's also packed full of configuration options, so if you want to tweak any of the options, you'll have plenty of scope for personalization. In all, we were disappointed by StuffIt. Mainly, we were unconvinced that this program can do many things a free program like PeaZip or 7-Zip can't, and confused by the uncertainty regarding what the standard version of the program actually offers. StuffIt does the basic job of file compression/decompression well, but without much panache, and all in all, the whole program left us strangely unsatisfied. StuffIt serves its purpose, but we can think of bunches of other programs we'd rather use.